BELLINGHAM, WA - Grizzly Industrial Inc., distributor of woodworking and metalworking equipment, announced that its 676-page 2010 catalog has been printed on 100% Sustainable Forestry Initiative certified paper. The SFI is third-party certification program that forest land resources are managed and harvested according to sustainable forestry practices. The SFI standard was developed by professional foresters, conservationists, scientists and others to address environmental and socio-economic forest values including water quality, biodiversity and timber harvesting and regeneration practices. 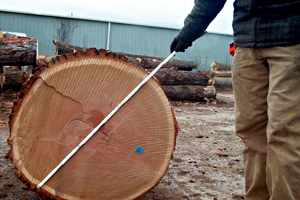 SFI's chain-of-custody certification tracks wood fiber from certified forestlands to certified forest products manufacturers.